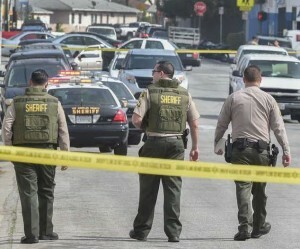 MONTEBELLO >> A woman received a 23-year prison sentence Wednesday for her role in an ill-fated armed robbery in Montebello last year that escalated into a gunfight that led to the fatal shooting of her two accomplices and the wounding of a shopkeeper, authorities said. Toni Danielle Lopez of Los Angeles, who served as the getaway driver in the botched Montebello robbery, pleaded “no contest” in Los Angeles County Superior Court to charges of attempted murder and robbery, Los Angeles County District Attorney’s Office spokesman Greg Risling said in a written statement. She also admitted the special allegations that a gun was used in the crimes, and that the crimes were gang-related. Judge Henry Hall immediately sentenced Lopez to 23 years in state prison, Risling said. Lopez served as the getaway driver in the double-fatal robbery attempt, which took place just after midnight on July 18, 2015, at a restaurant in the 2100 block of West Whittier Boulevard following a spate of violent crimes. Fellow robbers Kevin Fierro, 23, of Los Angeles and Roger Soriano, 21, of Los Angeles, entered the restaurant and carried out the robbery, Montebello police Lt. Andy Vuncannon said at the time. Soriano shot and wounded the shopkeeper, who pulled his own gun and returned fire, police said. Soriano died in the restaurant. 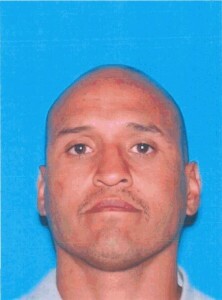 Fierro, who was also wounded in the gunfight, tried to flee but collapsed and died about a block away. Just prior to the Montebello robbery attempt, Lopez, Fierro and Soriano robbed a 17-year-old boy along Whittier Boulevard in East Los Angeles, Risling said. And prior to that, authorities suspect Fierro and Soriano carjacked the Toyota Camry used in the other crimes in East Los Angeles. Detectives found and arrested Lopez in connection with the crime at Eugene A. Obregon Park in East Los Angeles three days after the robbery and shootout, Vuncannon said. She was still driving the carjacked Camry. Prosecutors initially charged Lopez with two counts of murder for the deaths of her accomplices, as well as other crimes. The complaint was later amended to include one count of attempted murder, two counts of robbery and one count of receiving stolen property. 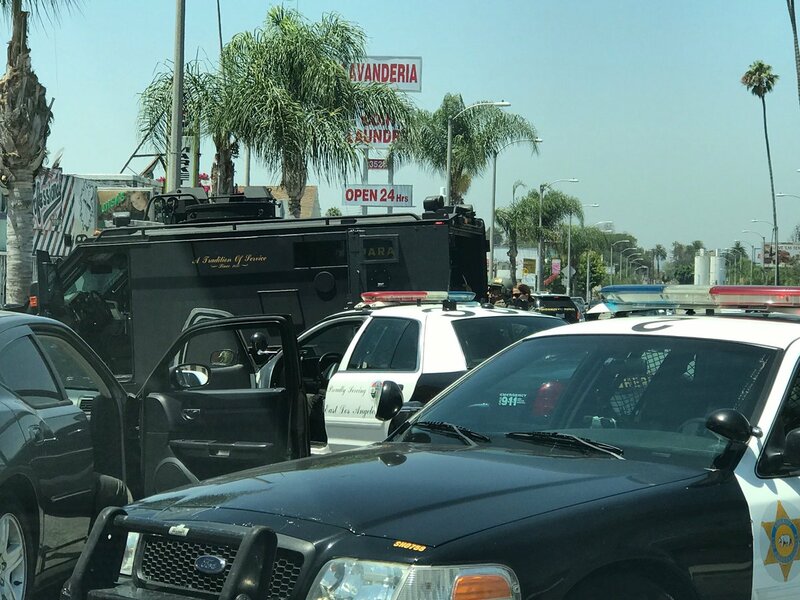 UPDATED: Monterey Park attempted murder suspect wounded in gun battle with police officer in East L.A.
EAST LOS ANGELES >> Monterey Park police shot and wounded an attempted murder suspect during a gunfight in an East Los Angeles Wednesday, authorities said. Monterey Park police Lt. Carrie Mazelin said officers located the suspect and the shooting occurred about 9:25 a.m. in the area of Woods Avenue and Escuela Street. The suspect, a 34-year-old Monterey Park man, suffered a single gunshot wound to his torso and was expected to survive his wounds, according to Lt. John Corina of the sheriff’s Homicide Bureau, which is spearheading the investigation into the officer-involved shooting. He’s also suspected of shooting and wounding an active duty U.S. Marine outside a Monterey Park convenience store earlier in the week. His name was not available late Wednesday as he remained hospitalized. No officers were hurt, but an officer’s patrol car was struck by gunfire, officials said. Capt. Steve Katz of the sheriff’s Homicide Bureau said Monterey park officers were following up on the previous shooting when the shooting took place. “There were involved in identifying and tracking down a violent criminal who had committed an attempted murder in their city,” Katz said. A Monterey Park officer spotted the suspect riding a bike in the area of 4th Street and Woods Avenue, Corina said. 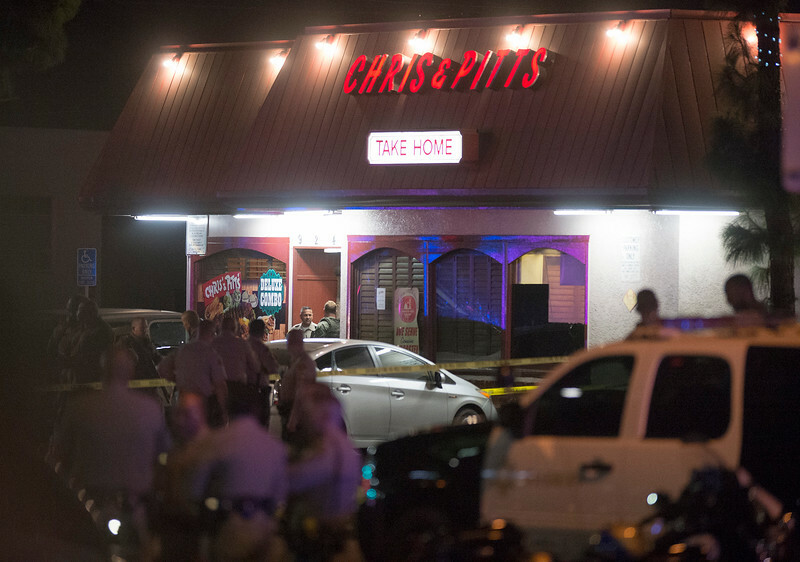 The suspect pulled a handgun and began shooting at the officer. The officer did not initially return fire for fear of collateral damage in a nearby residential neighborhood, Corina said. The officer followed the suspect as he headed south on Woods Avenue from 4th Street, still riding a bicycle. As the suspect and officer approached Escuela Street, the suspect again began firing at the officer, the lieutenant said. Corina said the officer then did shoot back, firing multiple shots through the windshield of his patrol car, Corina said. One bullet struck the suspect in the abdomen, Corina said. He fell wounded and was quickly taken into custody. The man was wanted in connection with a shooting that left a U.S. Marine who was on leave wounded outside a Monterey Park 7-Eleven store earlier this week. The attack took place about 2:45 a.m. Sunday at the convenience store, 281 E. Pomona Blvd., along Monterey Park’s southern border, Monterey Park police Sgt. Dave Elliot said. The victim and a friend arrived at the store and were confronted by a man in the parking lot, the sergeant said. “Some words were exchanged when the suspect brandished a firearm and shot the victim one time,” Elliot said. The victim, who was struck in the abdomen, was hospitalized, Elliot said. An update on his condition was not available. Corina said the suspect had been acting belligerent and trying to start fights with other patrons as well before the Marine and his friend, a fellow Marine, arrived at the convenience store, Corina said. It was unclear whether the suspect was intoxicated at the time. A revolver and bicycle recovered at the scene of Wednesday’s gunfight between the suspect and police officer were believed to be the same used in Sunday morning’s shooting, Corina said. Anyone with information regarding Sunday’s shooting is asked to contact Monterey Park police Detective Han at 626-307-1246. Anyone with information regarding Wednesday’s officer-involved shooting can reach the sheriff’s Homicide Bureau at 323-890-5500. 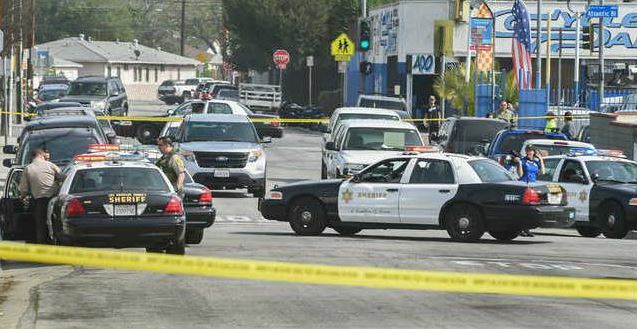 EAST LOS ANGELES >> A 14-year-old boy found fatally shot in an East Los Angeles alley is believed to have accidentally shot himself while handling a handgun, authorities said Sunday. The shooting took place about 6:10 p.m. in the 3500 block of Cesar Chavez Avenue, Deputy Crystal Hernandez of the Los Angeles County Sheriff’s Information Bureau said in a written statement. Responding deputies found the teen lying in an alley suffering from a gunshot wound to his head, Hernandez said. Paramedics took him to a hospital, where he succumbed to his injury. “After speaking with witnesses, it appeared the victim, 14 years old, who was a documented member of a local street gang, may have been handling a loaded handgun and unintentionally shot himself,” Hernandez said. His identity was withheld Sunday pending officials identification and notification of his family, Los Angeles County Department of Medical Examiner-Coroner Lt. Fred Corral said. Detectives were yet to determine when or how the teen got the gun, officials added. No further details were released. 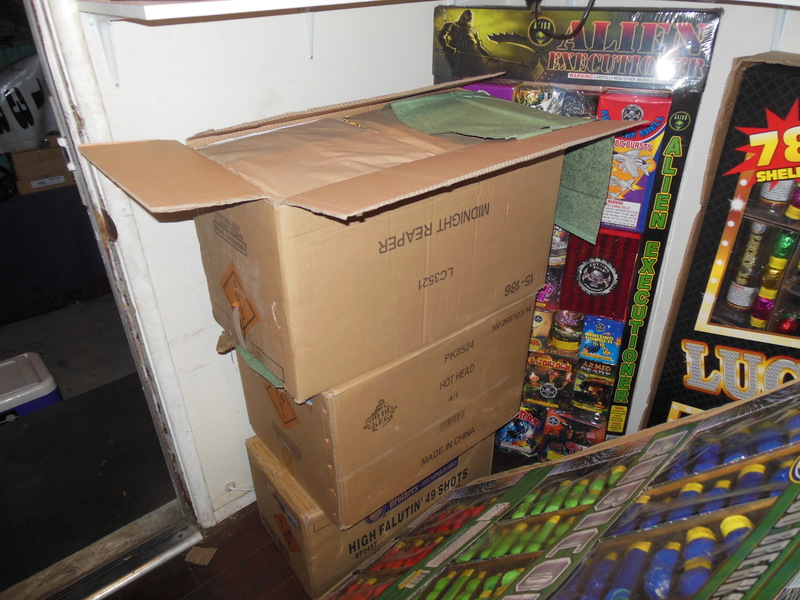 EAST LOS ANGELES >> Sheriff’s deputies who happened upon an illegal fireworks transaction ultimately seized more than 1,000 pounds of dangerous and illegal fireworks from an East Los Angeles home and arrested two suspects Thursday night, authorities said. 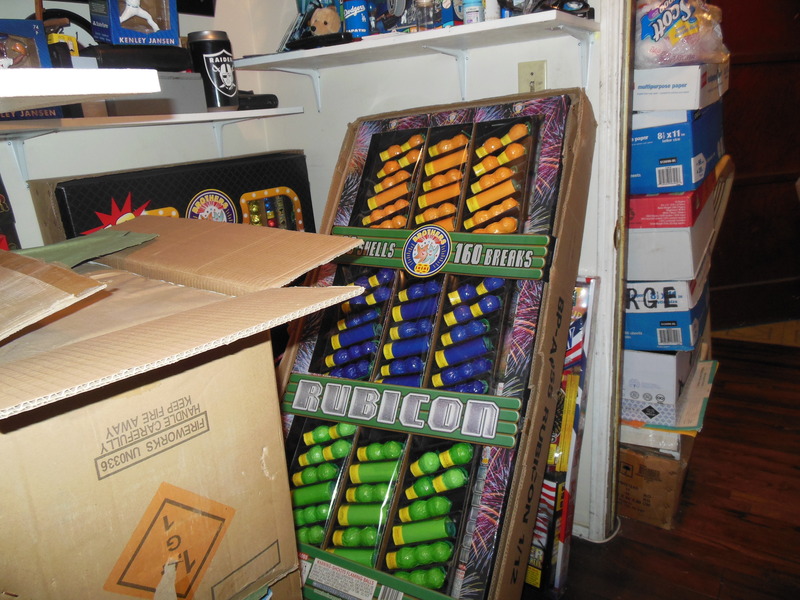 Joseph Valencia, 46, and Daniel Guerrero, 44, are accused of illegal possession of explosives and possession of dangerous fireworks without a permit, Los Angeles County sheriff’s Sgt. Andrew Cruz said in a written statement. 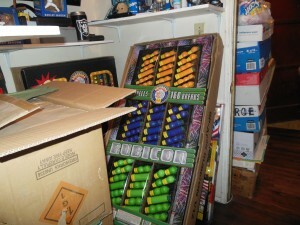 Deputies were patrolling about 11:30 p.m. in the 5200 block of Repetto Street when they spotted Valencia selling illegal fireworks to another man from a parked car, Cruz said. “Through a brief investigation, the deputies discovered the suspect resided few properties away from where the vehicle was parked,” the sergeant said. 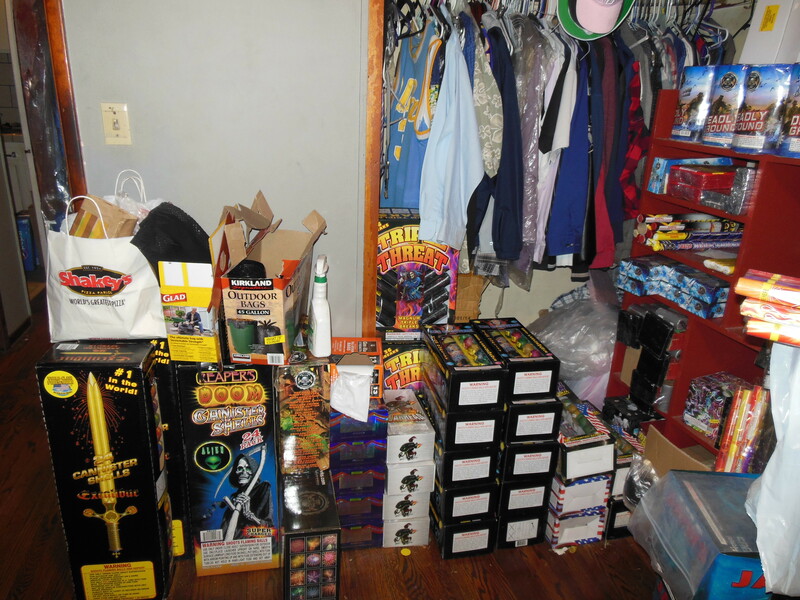 “After searching Joseph Valencia’s residence, the deputies discovered between 1,000 (and) 1,500 pounds of illegal fireworks.” The stash included 49 explosive fireworks commonly known as M-80s. Guerrero’s specific role in the fireworks sales was not clear Friday. All fireworks, including those designated “Safe and Sane,” are banned in unincorporated area of Los Angeles County.